and is the only Visit Scotland rated five star tour company in the South of Scotland. Are you interested in finding out more about Dumfries and Galloway? #LoveDandG Hour takes place on the last Thursday of every month from 9-10pm on Twitter. Join us to find out all that is happening across D&G and where are the best places to visit in the Region. 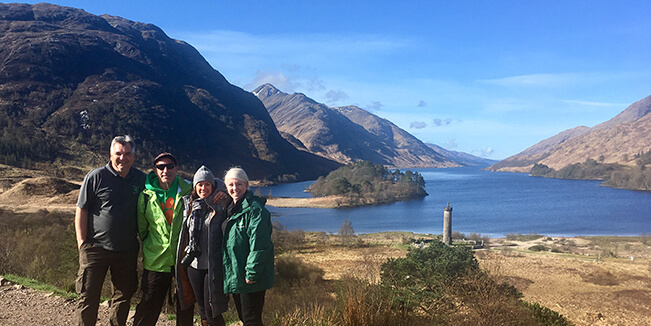 We aim to provide unforgettable experiences through our extensive knowledge and insight into the History of Scotland which will create memories and smiles that last a lifetime. We seek to provide our customers with positive travel experiences delivered with a sense of warmth, friendliness, pride and a passion for promoting Dumfries and Galloway as a high quality tourist destination. We are very confident that you will thoroughly enjoy all aspects of our guided tours and be in awe of the majestic countryside and impact which South West Scotland has had on shaping our global community. We are more than happy to create a flexible itinerary to suit your areas of interest. Our website gives more suggested areas to visit and we will arrange a bespoke and personalised tour for each party. We also offer guided tours of other areas of Scotland including city tours of Glasgow, Edinburgh and Stirling. 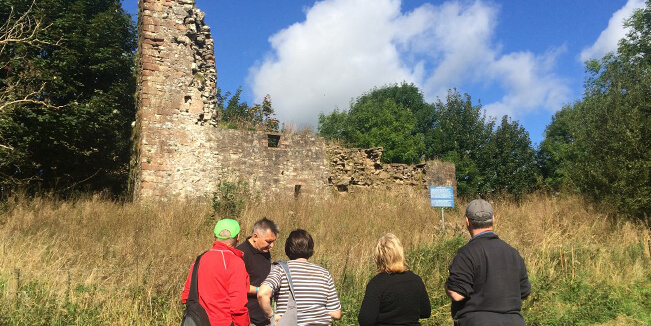 Our tours offer an individually tailored and unique insight into the historical and cultural delights of South West Scotland and beyond. We provide a personalised, chauffeur-driven, high quality service which will allow you to experience the most majestic countryside whilst visiting some of the most important historical and cultural sites in the country. 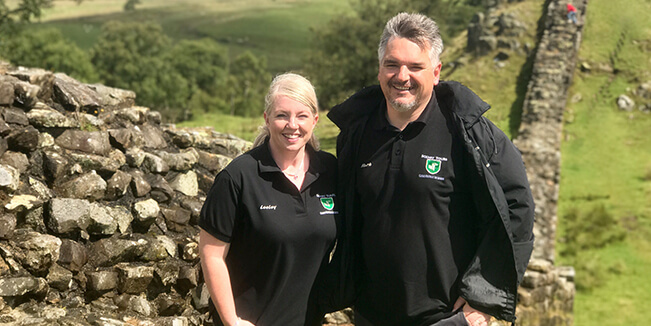 Lesley and Mark, your Solway Tours guides, offer a range of flexible, tailor-made tours for families or small groups to experience the charms that Dumfries and Galloway has to offer. We are both experienced historians with specialist backgrounds in secondary education at a senior managerial level and will delight and regale you about the historic and cultural importance of Dumfries and Galloway and beyond. Your tour experience will be enhanced further by being chauffeur driven in our comfortable and stylish seven seater Renault Grand Scenic. Suggested Themed Tours Castles and Kids We will take you to a number of agreed historic sites within the Region and allow time to visit one of the excellent local attractions for children. Wars of Independence Dumfries and Galloway is renowned for its pivotal role in Scotland's fight for independence. We will guide you through the crucial role played by the Bruce family during this war torn period. Robert Burns Follow in the footsteps of the National Bard from Ellisland Farm to the “Sanghoose” and from The Brow Well to Burns Mausoleum. Dumfries offers an incredible insight into the life of Scotland’s favourite son. Cradle of Christianity St Ninian landed in Galloway at the end of the 4th Century and changed the religious map of the Nation. This tour will look at how Dumfries and Galloway played a crucial role in the spread of Christianity. D&G Heroes and Heroines J M Barrie, Kirkpatrick McMillan, Thomas Carlyle and Jane Haining are just some of the people raised locally who have impacted so much on the world. Their tales will inspire you!! For full details and prices for all of our tailor made tours please check our website or contact us by email or phone. 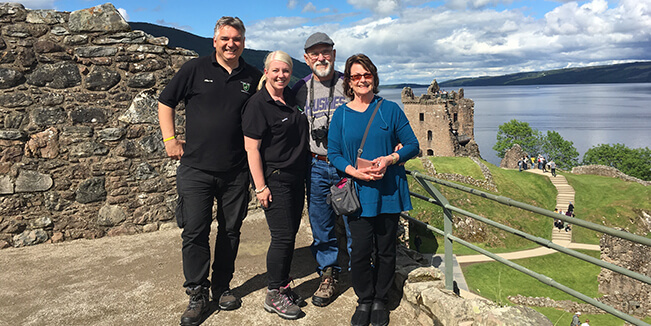 We love learning about our family's heritage when we travel and on our recent trip to Scotland, we took a tour with Solway Tours to find our roots. Have you ever traveled to learn about your ancestors? If you are looking for somewhere to go today then why not head to the magnificent Caerlaverock Castle. We were there on Friday and we enjoyed exploring the Maxwell stronghold in the sun! The Castle has now launched an AR App Trail which is perfect for young people! The app is best downloaded at home before you head to the castle and then you can use it to follow a trail, meet different characters from the castle and find out what life was like in the castle in 1312.